The impending safe rates tribunal will be prevented from dealing with disputes over pay rates and conditions until January 1 next year. Workplace Relations Minister Bill Shorten has slotted another amendment into the Road Safety Remuneration Bill, which passed the House of the Representatives yesterday with the support of the Greens and the two independents, Tony Windsor and Andrew Wilkie. The tribunal will begin on July 1 this year and it will only be permitted to deal with disputes before 2013 if "exceptional circumstances" exist. 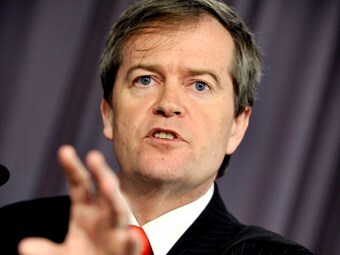 "The government has moved this amendment because we understand the tribunal will need some time to establish its operations to consider research, begin formulating work programmes and make road safety remuneration orders before commencing its dispute resolution function," Shorten says. "Delaying the start date of the dispute resolution function will allow the tribunal to manage the implementation of the Bill and will also give industry stakeholders time to become familiar with the new regulatory framework in relation to dispute resolution." The dispute resolution process will allow employee drivers, sub-contractors and employers to have their cases heard before the tribunal, which will be made up of a combination of Fair Work Australia members, industry representatives and workplace health and safety experts. The tribunal will have the power to look into all areas of the road freight supply chain and issue binding industry-wide or sector-specific rulings, known as road safety remuneration orders, to rectify dangerous practices. It will also develop a work programme identifying matters it intends to look at. Opposition spokesman on transport Warren Truss, who has argued against the need for the tribunal, criticised the amendment to delay the tribunal’s ability to hear disputes until 2013. "I suppose it will get involved in some of the other things that this tribunal is going to do, such as interfering in the contracts between truck drivers and their customers, interfering in the day-to-day activities of people going about any routine business that happens to involve a truck," he says.